Ever since Zynga overpaid for OMGPOP in March of 2012, the game developer has been having serious financial problems. The goal of paying $180 million for OMGPOP back then, was so that Zynga could get its hands on Draw Something, a Pictionary-esque game that was then among the top paid apps and games in 80 countries. The game was bringing in $250,000 a day for OMGPOP. And initially, things started out great with the acquisition raising Zynga's daily traffic by 25%. In March 2012, the number of Draw Something users soared from 1.7 million to 14.6 million. While Draw Something was downloaded 50 million times in 50 days, and 3000 pictures were created each second, users started getting bored of the game. By May, just two months after the purchase, the numbers started to go in reverse culminating in October with the layoffs and the shuttering of Zynga's Boston office. 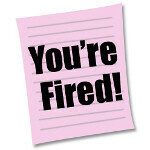 Now, after a restructuring and a foray into online gambling, Zynga is passing out pink slips again. Even the April launch of Draw Something 2 for iOS has not been able to help Zynga turn things around and on Monday it announced that it is laying off 18% of its mobile and social staff. That works out to 520 people leaving the company. Zynga now expects to report a net loss of between $28.5 and $39 million for the quarter after originally estimating that it would lose $27.6 million in the period. Stockholders dumped the stock on Monday with shares dropping 12% to close at $2.99. The guys over at OMGPOP made the best business decision at the perfect time.